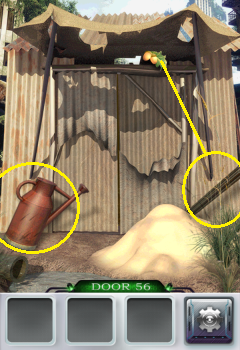 Pick up the watering can and use it on the water. Pick up the stick and use it on the fruit to knock it down. Pick up the seed. Use the stick on the sand to make a hole, then place the seed in it. 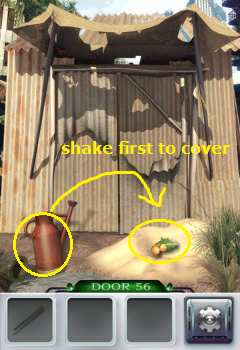 Shake your phone to cover the seed, then use the watering can on it.